businessmen, advertising personalities, professionals and private sector executives. The unusual event “Evening of Baila: Knowledge, Music & Dance” organized by the Sunday Times Business Club (STBC) was aimed at re-discovering the roots of a popular dance, music and art form and elevating the Baila to an iconic status with respect and a revered brand similar to the likes of Ceylon Tea and Sri Lanka Cricket. The club regular sponsors are the Cinnamon Lakeside, Commercial Bank and Hameedia. 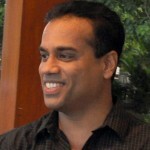 Two banks – Sampath and Standard Chartered – also contributed to the event. Guests included members of the STBC and personalities who had addressed the club at its monthly meetings on previous occasions. 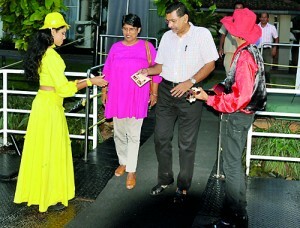 As the sun set, guests began assembling on board, welcomed at the gangway by two gaily-dressed entertainers and Club Secretary Sampath Kulatunga among other EXCO members. Paying a short visit was Central Bank Governor Ajith Nivard Cabraal who spent a few minutes interacting with members and guests but had to leave for another urgent engagement, just before the boat took off on its journey of discovery. 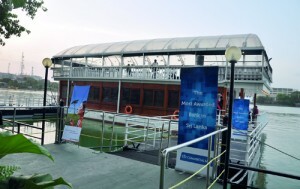 STBC President Chathuranga Perera, welcoming the guests on board, emphasised the importance of the event and said it would be an eye opener towards preserving and popularising Baila for future generations. Nishan K. Silva, a former STBC president and moderator of the event, noted that this type of events aimed at disseminating information coupled with fun, knowledge and entertainment will attract the attention of a wide audience. Therefore the corporates should promote it as one of their CSR projects. A few minutes into the evening as the boat was gently cruising the Beira, Fouzul Hameed, Hameedia’s Managing Director arrived having taken the shuttle boat. His delayed arrival was due to ‘breaking the fast’ before arriving at the hotel. Sailing on the vessel was a novel experience in creating awareness on the origin of Baila with the lights and sounds of the Colombo city life fading into a placid surrounding. Making the opening remarks, soon after the boat began on a 2-hour journey, STBC Patron Feizal Samath noted that it is essential to explore the cultural flows that led to the creation of the Baila. He recalled how growing-up days during the growing up years of his generation, Baila was sung at home and informal parties and listeners found it hard to stay off the dance floor. Being a musician himself, he briefly displayed a simple instrument that was played to the rhythm of this music – two table spoons turned in spoon clappers. noted, urging city hotels and Sri Lankan Tourism to organise events just like one on Tuesday event with entertainment, fun and knowledge which would be a novel tourist attraction in the city of Colombo. Diaspora Studies and Ethnography, made a keynote presentation with an academic account on the origins and transformation of that ancient, yet dynamic, vibrant, spontaneous and ever present rhythmic movement of all time in Sri Lanka -the Baila. Accompanied by slides and music projected on a screen, she said that the most vibrant Portuguese influence has been on Sri Lankan popular music and unlike the typical South Asian forms of music and dance which are theatrical, Kaffrinha and Baila call for audience participation. Tracing the trajectory of Baila is not easy given that records are incomplete, she said, adding that there are no historical records of the songs that were sung 500 years ago. “Baila may have originally referred to ‘dance’, but its contemporary use also indicates that it is a form of music and song. A ballad is a narrative song or poem which was originally intended as an accompaniment to dance,” she said. Baila is not an import from Portugal or a genre that was introduced by the Portuguese. It’s a form of music that evolved in 20th century Sri Lanka signifying a new postcolonial identity, she added. Portuguese links are vibrant in the cantigas (songs) of the Batticaloa Burghers and the Batticaloa music and songs were referred as Kaffrinha and the dance as Baila. But the dances of the Batticaloa Burghers are called Kaffrinha and Lancers, she disclosed. A few years later, in 1976, the Catholic Burgher Union of Batticaloa compiled a booklet of cantigas, a mixture of religious and secular songs. It is a valuable source in establishing links between Bailas and Portuguese songs, the themes of which are linked to Romances (which were ballads), one of the oldest and most important genres of Portuguese sung poetry. She said the father of Baila music here was Wally Bastiansz, who was half Sinhala and half Dutch Burgher. At one point, a group of dancers danced to the rhythms of a Wally Bastian original: Kisi Vehesak Nobala (Piya). Dr. Jayasuriya said there was a tradition where lower-class Burghers would go to rich Burghers households during holidays and dance kaffrinha music while dressed up as Africans, so Bastiansz probably had a lot of exposure to kaffrinha. 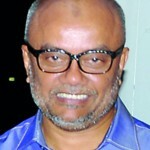 Wally created Baila by giving kaffrinha a more lyrical style. His songs became popular in the island. 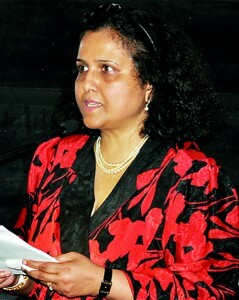 She suggested that Wally came up with a style mixing three elements: African, European and Sri Lankan. One of Wally’s most famous songs was “Irene Josephine”. 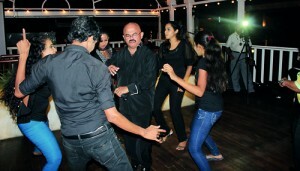 Bastianz was also the Godfather of ‘Baila Visharadha’ and the person responsible for bringing Kaffringna to the fore. He had played the banjo, piano, ukulele, Spanish guitar, Sri Lankan viaule and accordion. 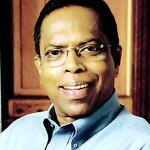 By singing in Sinhala, Tamil, English, Malay and Sri Lanka Portuguese Creole, Bastianz reached out to all Sri Lankans. A panel comprising Dr. Jayasuriya, Terrence Sellar and musicians Mariazelle Gunatilake and Ronnie Leitch expressed their views as the boat continued to cruise on the Beira passing landmarks on the way. Mr. Sellar from the Burgher community in Batticaloa explained in detail how Baila music has enriched the community and gave details how this music is played at weddings and the language used. Ms. Gunatilake said that Baila is close to one’s heart and gives an infectious rhythm even to those unfamiliar with this music as its 6-8 beat coincides with the heart beat. 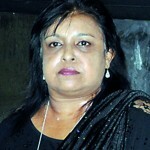 She pointed out there was a time that Baila was treated as ‘thuppahi’ music but today it is very popular among Sri Lankans. Mr. Leitch said that from Dr. Shihan’s presentation he had learnt many stages of how Baila had progressed in Sri Lanka and expressed the hope that there would be future discussions like this that would illuminate many other Sri Lankans. 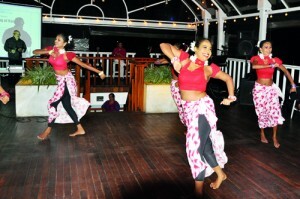 A dance troupe – Arpeggio Creative Dance and Drama Academy – presented back ground dancing items when Mariazelle and Ronnie were singing Piti Kotapan None, Kandy Lamissi and Dompe Ayah keeping the audience on their toes. Guests and invites joined in an impromptu Baila session enhanced by Ronnie jokes and ‘funny faces’ and Mariazelle trademark singing. After two hours of sailing the boat returned to base, ending a ‘voyage of discovery’ on the Baila and creating awareness on the importance of preserving this popular art. What better place than the Cinnamon Lakeside’s “8° on the lake” floating restaurant to organize an eventful evening discussing the Baila, its roots and reliving the era of Wally Bastianz, M.S. Fernando and the other pioneers of this music. The floating restaurant can cater to 100 guests across an open upper and air conditioned lower deck, and the venue is the perfect combination of indulgence and chic, according to hotel officials. “Ideal for high profile events, this unique venue lends itself as effortlessly to corporate events as it does to wedding ceremonies, engagement, birthday or anniversary parties and even candlelit dinners,” one official said. For the Sunday Times Business Club it was an event to remember, as guests and members enjoyed the cruise occasionally scanning the sights and lights of D.R. 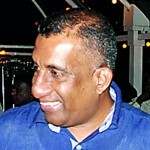 Wijewardena Mawatha, particularly entertainment venues, as they listened to an academic discourse on this important Sri Lankan music spiced and flavoured with dance, song and comedy. It was an unusual and creative event that one hopes would be an act to follow in the leisure sector. Wonderful evening, I was overwhelmed. Baila is an effective form of communication. Wada (chorus) Baila is a case in point. In the good old days Wada Baila was on social themes. 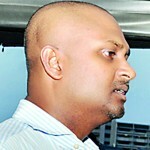 This is what Sunil Perera does minus Wada. In that sense ‘Baila karayas’ are a more respectable lot than the ‘deshapalana karayas’. One other thing that strikes me about Baila is its candid and down to earth lyrics. It always champions the cause of the down trodden. Good examples are ‘Dompe Aya’ and ‘Nurse Nona’ etc; and they never sang hosanna’s for the high and mighty. In that sense, there is a similarity between what Bob Dylan and our Baila singers of yesteryear accomplished. In the meantime Sunil Perera’s new song ‘Koththamalli’ has a very powerful message which will be hailed by the village folk and of course the ‘Veda Mahaththayas’. This is a great proposition that sounds obvious after the patron of the Business Club explained the inherent cultural elements of the Baila in context, showing the audience what it means to the country from a socio-economic stand point in our quest to grow the economy to provide ‘meaningful peace’ to the 20 million people of our motherland – peace which will have a tangible positive impact on our own Sri Lankans. I’m more excited about the economic perspective of the Baila music and dance in order to augment the value we can create for ‘Brand Sri Lanka’ at a time when competition makes everything equal and differentiation becomes so much more complex. Surely, there is a new proposition we can offer – that realization was the biggest gain I had on Tuesday evening and I’m committed to promote that concept to help my country. It’s an angle and a twist no marketer has seen before – accolades to you Feizal for opening the eyes of marketers and showing a new way to add value to the Brand SL. Apart from that it was a lovely evening of excellent companionship, ambience, drinks, food, music and dance – I truly enjoyed it. We need to position Baila as a product or a brand, and promote its musicians professionally with a good image. For example like Cricket or Sri Lankan Tea, we must build a good image. We should also market the art of Baila in a more proper way with great respect. For example like how singer Ronnie Leitch explained the crisis in saying that evening: “Ooh Bailakarayage Putha or Duwala’s denna eppa” (Don’t marry your sons and daughters to the children of Baila musicians) and they make fun out it. This type of remarks and comments should be stopped but that can happen only if we elevate this dance and music form. The only way to improve it is to market it properly paying these artists high fees, have competitions and give them good media coverage. By this process we should be able to promote this art, for the benefit of the artists. It was a super event … very educational and informative. It is important to educate the public on the true and original dance steps and forms and also the type of instruments used along with the rhythm of this infectious music we now call Baila. I would suggest even a monthly gathering involving members of the public, bring groups down from Batticaloa and Puttalam and also the ‘Wada’ Baila performers and educate the public. 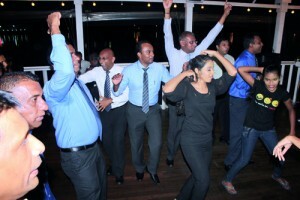 By raising Baila to a different level we could end this discrimination of ‘Baila’. I learnt a lot about Baila. The audience was very good and the Business Club has done an excellent job in putting this together. 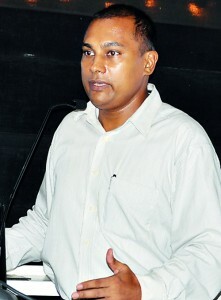 The presentation by Dr. Shihan de Silva Jayasuriya was very good and informative. We need to take this initiative forward. 1. 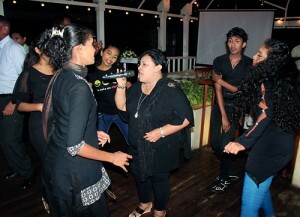 Compiling a comprehensive directory of all Sri Lankan Baila artists – here and abroad. 2. Bringing all authentic Baila artists – young and old to one stage (Desmond Silva / Desmond Rodrigo / Nihal Nelson / Anton Johns / Mariazelle / Ronnie / Sunil Perera / Saman De Silva / Jolley Seeya / Maxi Jayaweera / Paul Fernando, etc. 3. A Baila festival with the inclusion of authentic Wada Baila Singers and Calypso Bands and Baila lyrics composers. 6. Add colour to the festival with authentic Baila dance troupes – with authentic Baila Dance Costumes. 7. Branding perspective with the tourism sector – premier hotels / premier restaurants / Ministry of Tourism / Sri Lanka Tourism / airlines. 8. Bring in global media exposure to the event. 9. Bring in generous sponsors who are keen to take Sri Lanka to the world (example: Dilmah). 10. Expose the Baila rhythm to the diplomatic community / multinational companies here – and promote it overseas. 11. Form an Association of Baila Singers. 12. 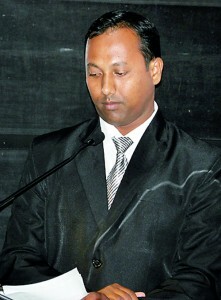 Involvement of the Ministry of Cultural Affairs.